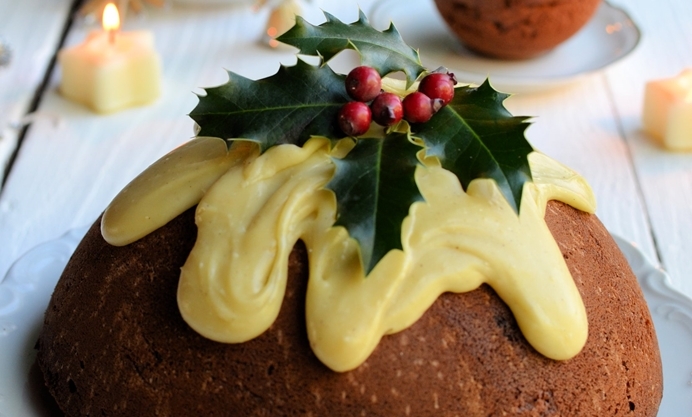 Not keen on the annual appearance of Christmas pudding? 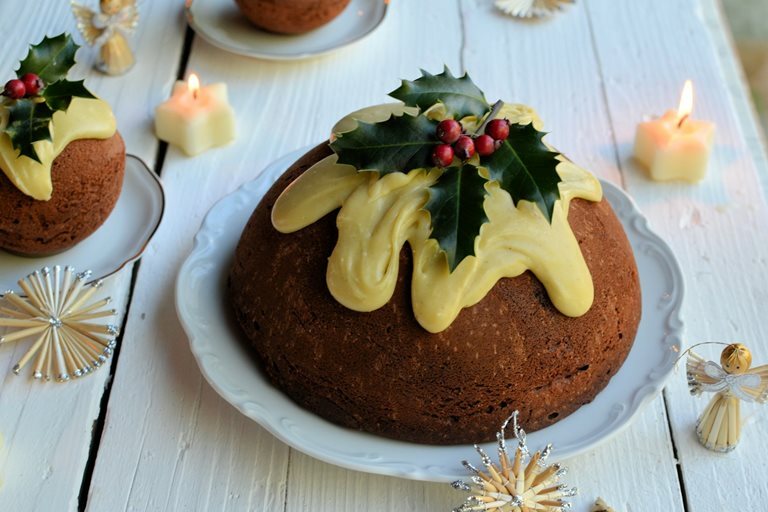 Tuck into this delightful recipe from Karen Burns-Booth, with the festive visual appeal of the classic Christmas cake, made with a decadent chocolate sponge and white chocolate ganache icing. I love making unusual cakes and bakes, and I am always on the lookout for new cake tins and pans for my next culinary journey, so when I spied these Hemisphere Cake Pans in the Lakeland catalogue, they went to top of my “must have” list! I only wish I could have bought them about twenty years ago when my daughter was very small, as I used to always make her a Christmas themed birthday cake, with her birthday being a week before the big day, and many a “Snowman” cake has graced her birthday party table, but, I used to have to make microwave cakes in plastic pudding basins, which was a bit of a faff! But now I can BAKE a Christmas themed cake with ease and not only that, I can choose between four sizes of these nifty hemisphere cake pans, as they come in large, medium, small and individual sizes. I decided to buy a large cake pan, for large cakes of course, as well as four of the smallest individual sizes, for mini cakes – which always fun for gifts and festive dinner parties. So, my plan was to make a large “Christmas Pudding Cake” as well as a couple of individual “Victorian Style Christmas Pudding Cakes” to add to a hamper I am making for my parents, and I spent a happy few hours in the kitchen creating my pudding cakes the other day, as well as tasting one of them with a cuppa – well it has to be done! I could have made a fruit cake, in the manner of a traditional Christmas cake and I may yet make a fruity pudding cake for us; but, it was the theme of chocolate that I wanted to experiment with and so the idea came to me to make a double chocolate cake in the shape of a Christmas pudding, just in time for “Stir Up Sunday” and complete with “white chocolate” snow and a sprig of holly. I decided to adapt one of my favourite chocolate cake recipes from my trusty “Be-Ro” recipe book for these cakes, a Milk Chocolate cake recipe with my own recipe for white chocolate and vanilla ganache. The recipe for my Double Chocolate Christmas Pudding Cakes is shared below, and the quantities are for one large cake with 2 small “cannon ball” shaped cakes, or, the mixture will make a VERY large cake using two of the large cake pans; I decided to make a smaller cake using only one pan. There are a few tips I would like to share……you MUST use a reputable cake release spray, and it’s also advisable to cut out a little circle of greaseproof paper to line the bottom of the cake tins, this makes sure the cakes come out easily and with no cracks or breaks. 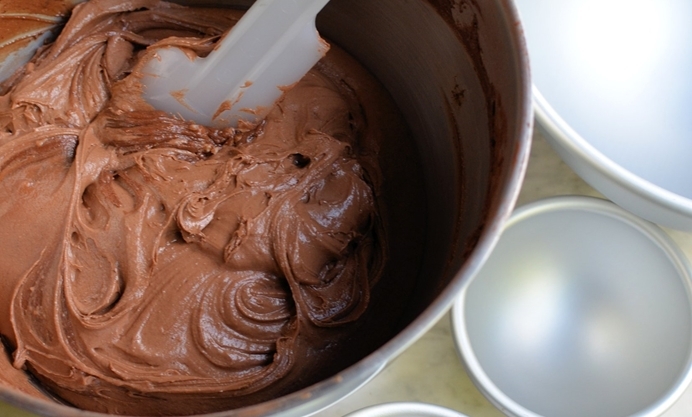 You MUST also cook the large cake in a slow oven (low heat) as there is quite a lot of cake batter and the cake needs a long, slow bake to make sure the centre is cooked. Other than that, these cakes are really easy to make and my family and friends were captivated with them when I showed them the finished results. If you are a Christmas fruit cake hater, then why not make one of these cakes for Christmas, it would make a great alternative to the usual fruit cake and will appeal to all the family, especially the little ones. 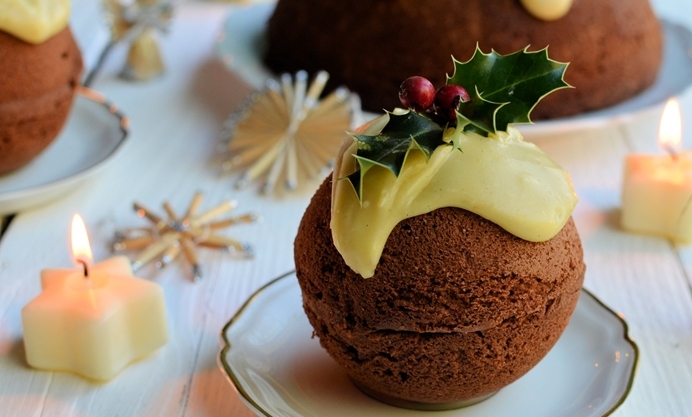 Enjoy these cakes if you make them and have a Cool Yule this year!